Family and friends helping police search 4,500 acres of woodland have been told they risk finding a body as the hunt for missing Sian O’Callaghan continues. The search has resumed for 22 year-old Sian O’Callaghan, who disappeared after leaving a nightclub in Swindon on Saturday. 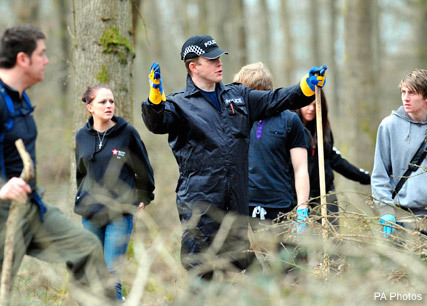 Hundreds of volunteers joined police in the hunt to find clues to her whereabouts. A signal from Sian’s mobile phone was picked up from Savernake Forest near Marlborough shortly after she left girlfriends in the Suju club during the early hours of Saturday. The mobile phone recordssuggest she was in the woodland area just 32 minutes after she left the club at 2.50am, suggesting the journey could only have been made by car, leaving friends and family fearing the worst. CCTV of Sian walking into the club and past a small group of men has been released in the hope it may jog clubbers’ memories. A police spokesperson urged anyone who remembered seeing Miss O’Callaghan to contact the force. More than 60 police officers are currently working on the case, which is being treated as a missing person inquiry. 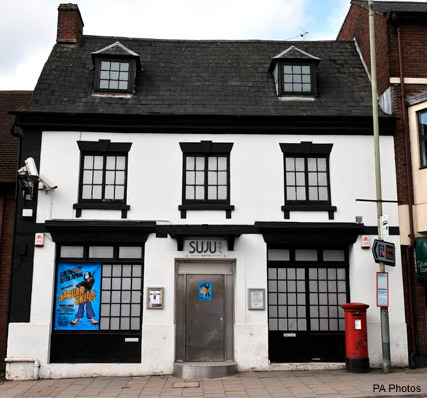 Det Supt Steve Fulcher says: ‘Sian left Suju and walked along the High Street in Old Town and there were a number of vehicles moving through the High Street between 2.55am and 3am. Sian’s boyfriend with whom she shared a flat appealed for more information as he fought back tears at a news conference on Monday. The 25 year-old is not being treated as a suspect in the investigation.